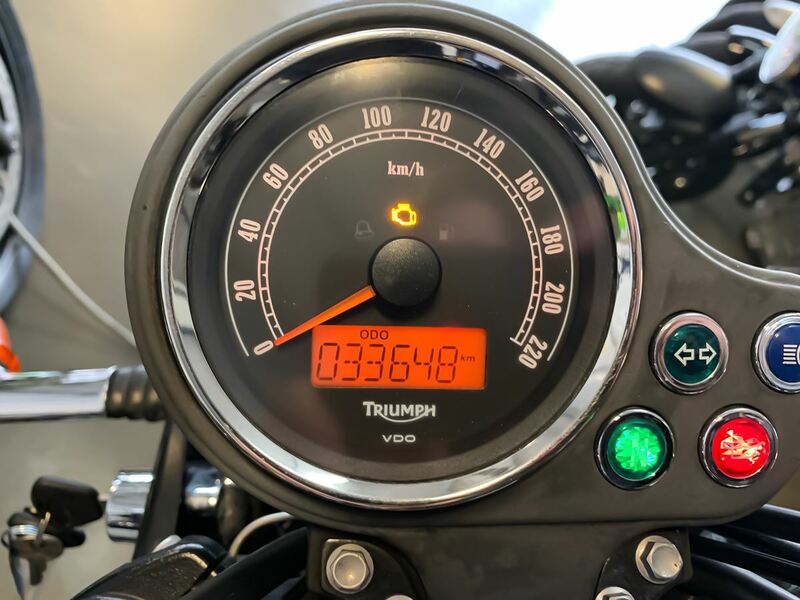 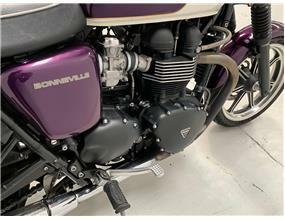 The Triumph Bonneville is one of the classic nameplates in motorcycling history. 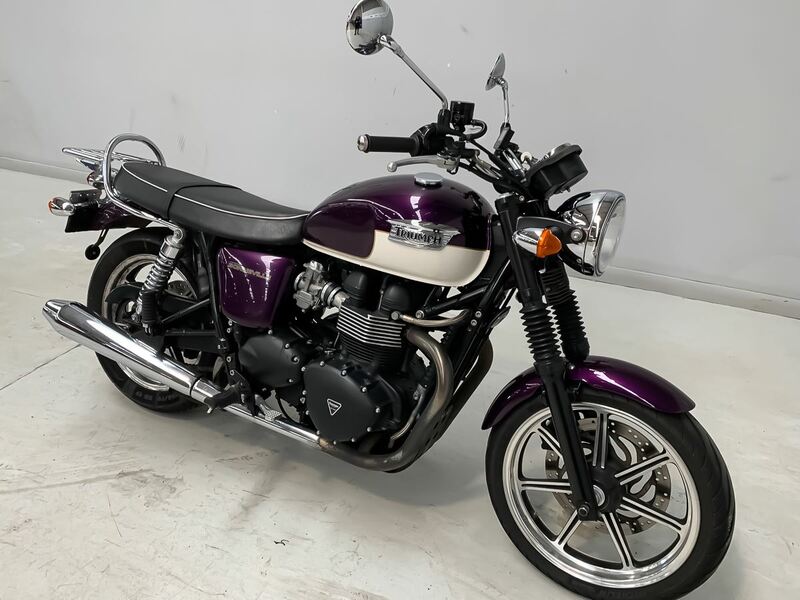 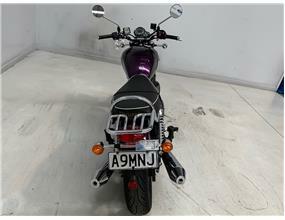 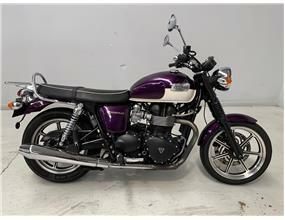 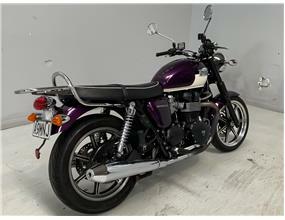 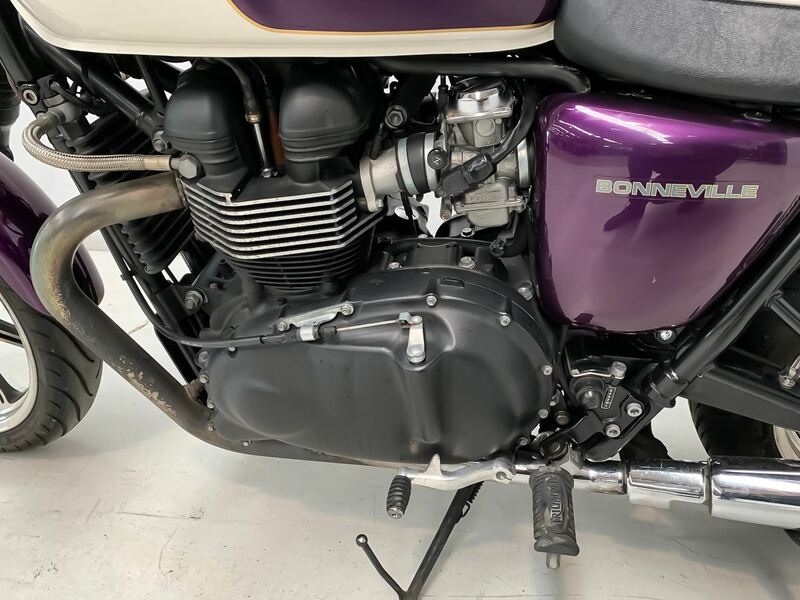 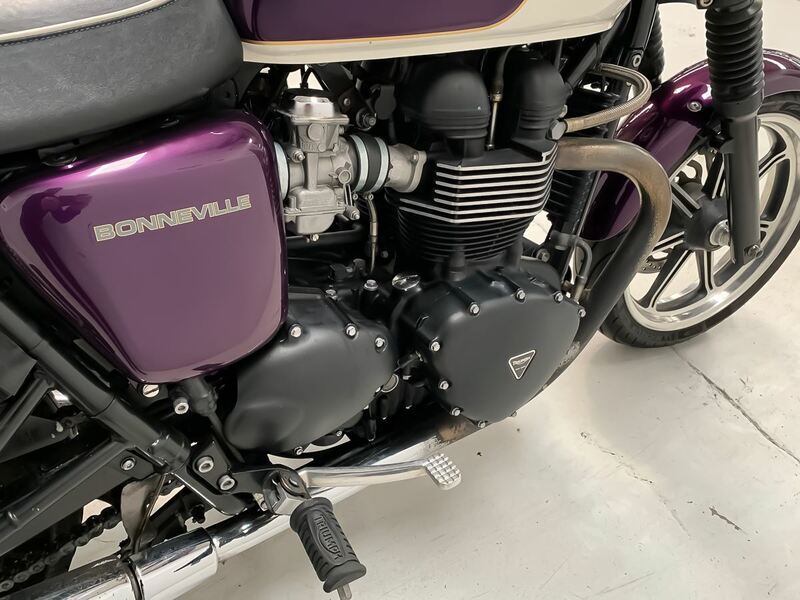 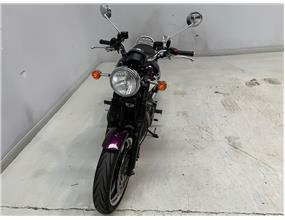 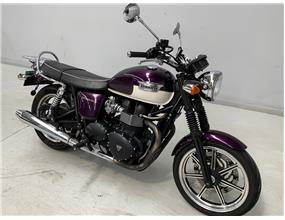 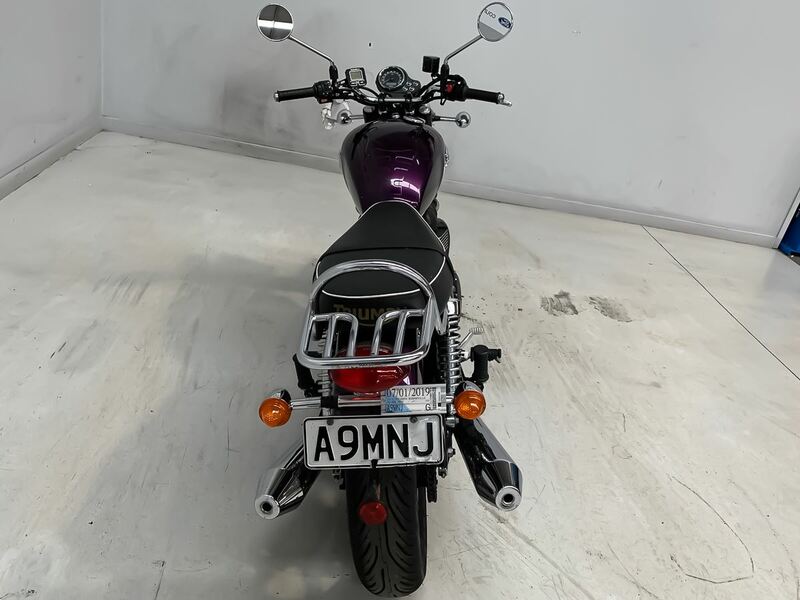 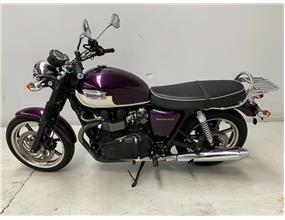 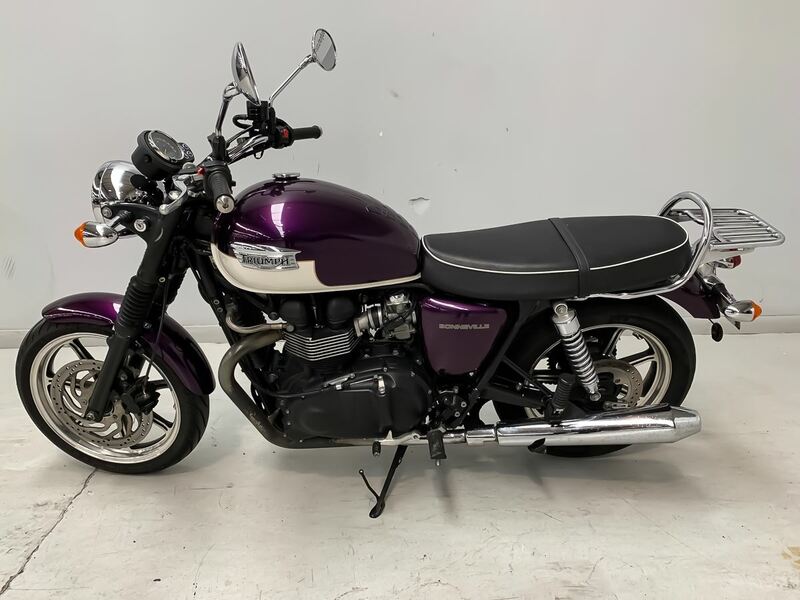 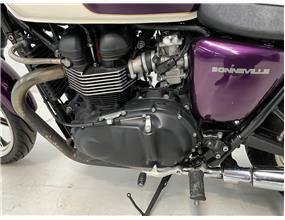 This is a tidy Bonneville in purple and white, fresh with a recent service and a new front tyre. 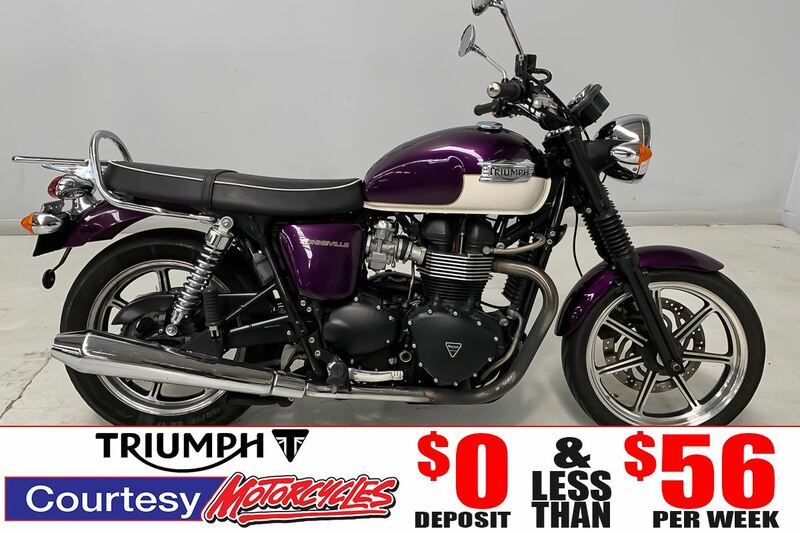 ** Weekly payments are based on a total purchase price of $9,985.00 Nil Deposit, weekly payments of $55.16, over 260 weeks. 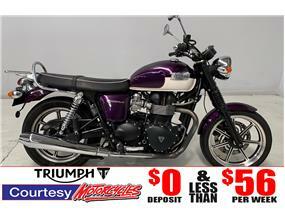 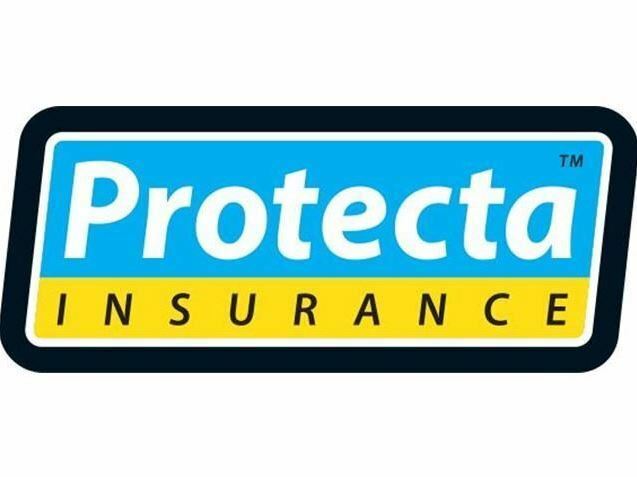 Includes a booking fee of $369.00 and Monthly service fee of $4.00. 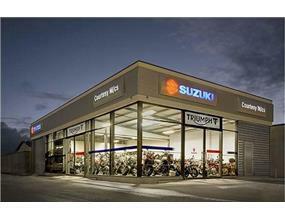 Interest rate is 12.95%, fixed for the term of the loan. Total repayments $14,341.60. 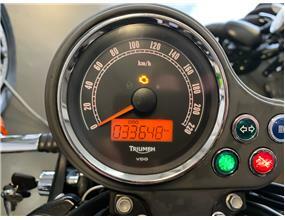 Lending is subject to normal lending criteria. 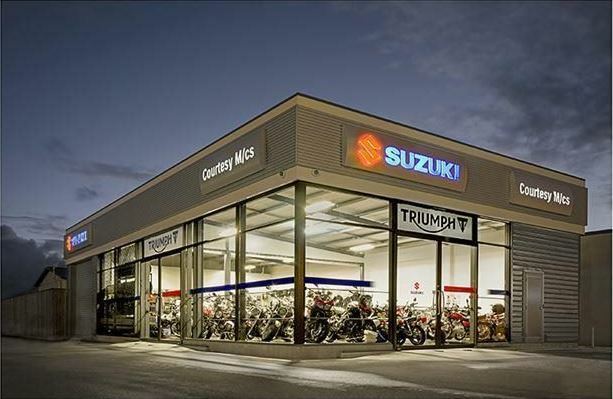 Full disclosure documents are available (free of charge) instore.